I was compelled to write this newsletter because of what my wife, Mariah, is going through. Mariah was diagnosed with HER2+ Breast Cancer (one of the more aggressive forms) four years ago. The combination of traditional care, holistic care, and diet and nutritional changes have kept her alive and on the road to remission. I want to share some of the information we found helpful on her journey of healing. Cancer is complicated—it isn’t just one thing. It affects people in many different forms and at many different levels of intensity. Breast cancer, for example, can manifest itself completely differently over many women. But one thing holds true in every case: it’s scary. 1 in 2 men will get cancer and so will 1 in 3 women. 1 in 4 of them will die. With numbers like these, you could say that we are in the midst of a global cancer epidemic. At the moment, finding a cure is just out of our grasp—if a universal cure exists at all. Until we find it, there is at least one other thing that holds true in every case of cancer: there are many different ways to look at it and treat it, and the solution is almost never simple. One mode of treatment is conventional medicine. But many physicians tend to look at and treat disease in only one, simplified way: narrow in on a particular thing causing the symptoms, and then treat that one thing. Everything else is subtracted out of the equation until some specific factor can be isolated as the cause. In some cases, this is a very effective approach. For example, the pain associated with a broken leg is a direct result of the broken bone. Treatment of the break will then ease the symptom of pain. But what happens when we can’t single out the cause of a disease or ailment? What if a disease doesn’t even have just one cause? In light of a recent study, trying to find one direct cause of cancer symptoms may be a futile mission. Cancer may not be the result of just one thing, but rather, the result of a combination of things in our environment that affect us on a daily basis—particularly the variety of chemicals we are exposed to almost constantly, like parabens, phthalates, and pesticides, to name a few. In the study, an international research group of 174 scientists from 28 countries tested the carcinogenic effects of some of the chemicals omnipresent in our environment. When tested individually at low doses, these chemicals have historically been found to be safe. But the problem is, when humans come into contact with them, the chemicals are almost never isolated. Rather, we experience them in mixtures. The things we come into contact with all the time—like food, personal care products, and cleaning agents—usually contain several different chemicals that we experience all at once. The researchers wanted to find out if experiencing chemicals in mixtures, like we do, might lead to a different measure of safety. What they found is that some of these mixtures could indeed produce carcinogenic symptoms in the body. This means that our current safety evaluation process of testing only one chemical at a time is a vastly inadequate way of determining chemical safety. The question of how chemicals are tested versus how they actually react in the body—from the parabens in your personal care products to the pesticides in the food you eat—has been neglected for too long, and we are paying for it. This brings me to a second approach to cancer treatment: the holistic approach. Holistic medicine treats the body in its totality instead of trying to isolate a single cause. When a disease is caused not by one thing, but by several different factors, searching for something to isolate and treat is almost like a wild goose chase. Sometimes, disease is the result of many different irregularities across the body. In these cases, treating the body has a whole can be very effective. What does treating the body as a whole entail? Things like being aware of your environment, what you’re ingesting, and what you’re putting on your skin. Most holistic health practitioners will use multi-faceted therapies that combine diet, cleanses, supplements, etc. to help treat cancer as opposed to relying on just one drug or life-style change. Therapies and treatments include Ozone therapy, IV Vitamin C, IV glutathione, low-dose naltrexone, and more. While one nutrient on its own may not appear to provide substantial healing benefits, a mixture of nutrients can be extremely potent when trying to improve the overall health of your body. In the end, it’s important to consider both traditional and holistic treatments in order to get the best possible outcome. Unfortunately cancer remains somewhat mysterious to us and whether there is a universal, best treatment is unclear. Treating your body as a whole will still be an important step for some people in the fight against cancer. Your holistic health practitioner can help you decide if you might be one of those people. Most people know protein simply as one of the main food groups like fat, carbohydrates, vitamins and minerals, etc.. We’re told how important protein is, but we don’t always understand just how ubiquitous it is in all living creatures. In reality, protein is just as important for us as water and even oxygen. But not all protein is created equal, and some of us might need more in our diets than others. There are so many different supplements and powders on the market and so many different people in the media telling you what you should and shouldn’t be eating—so what’s the truth about protein? First off, proteins are literally the building blocks of life. Our very DNA is all about instructions to make protein. All the tissues in your body are made of protein, including your hair, nails, ligaments, tendons, and the lens of your eye. Even tiny living things like viruses and bacteria are made of protein. While proteins are the building blocks of life, amino acids are the building blocks of a protein. When you eat a protein-rich food like chicken, for example, your body will break down that poultry protein into its individual amino acids, then reconstruct those amino acids into a new protein for the body’s own purposes. Most people need about 15-20% of their calories to come from protein. If you’re an athlete, trying to lose weight, in older age, suffering from stress/adrenal exhaustion, or recovering from illness, you’ll want about 30-35%. I think the best rule is to listen to your body—if you’re craving protein, then you should eat some! Your body is pretty good at knowing what it needs, and protein is typically not something to skimp on. Protein, in addition to carbs and fats can be used for energy; protein and fats can be used for repair; but only protein can be used for growth. If you aren’t getting enough protein through your food, then your body will start to break down tissues to get the protein it needs. Therefore it is vital that we eat protein-rich foods on a regular basis. But we also need to choose ones that are easily digested, ones that are easily broken down by our bodies, and ones that don’t come with a bunch of toxins. Which brings me to my next point: not all protein is created equal. There are many different kinds of protein that come from many different sources. Some proteins are highly processed or can cause an allergic reaction in the body because they are hard to process. Unfortunately, there are a lot of different sources of protein (plant, animal, etc.) on the market right now that fall into this category. That’s why I want to take this newsletter to help you understand which proteins are best for the human body. Poultry Protein: this includes chicken and turkey. Poultry tends to be very high in protein and is also relatively low-calorie. Our bodies are good at breaking down poultry protein, so we say it is very “bioavailable.” Buy it organic to avoid added hormones, antibiotics, etc. Meat protein: basically, beef. This is a complete protein and non-allergenic for the most part, so it has a much smaller potential to upset your stomach then, say, milk protein. Just make sure you buy grass-fed, hormone-free, antibiotic-free beef. Fish protein: fish is very high protein and also very bioavailable, not to mention super low-calorie and full of healthy fats. But the problem with fish is, if you buy it wild-caught, its full of mercury, and if you buy it farmed, its full of antibiotics and dioxin. Pork protein: a great choice, like beef or chicken and, contrary to popular belief, not significantly unhealthy. However, free-range pork is remarkably rare. Egg protein: Eggs are a fantastic source of protein, and not to mention nutrient-dense. I consider them a super food. However, they do have a high sulfur content, which can lead to gas with a foul odor. Milk protein: while milk does have a lot of protein, the worldwide presence of lactose intolerance makes it a bad choice for a lot of people. Even if you’re not outright lactose intolerance, it’s still very possible that you’ll suffer some form of stomach upset, like bloating, gas, etc. from drinking milk. Whey: Whey protein seems to be the fad right now, especially for body builders and athletes. But I strongly advise against this type of protein. Whey was once considered nothing more than a waste product of the cheese industry. Today, it is highly processed and sold to the unassuming public as a protein powder. It’s highly allergenic (with side effects like gas, constipation, and general digestive upset) and almost always of terrible quality. Soy protein: Please do not eat this type of protein. Soy protein was once considered a waste product of the soy oil industry and used almost exclusively as cattle food. Today, it is one of the most genetically modified crops in the world. It is very high in allergens, causing excess gas, and is disruptive to the body’s hormones—especially estrogen. Soy protein is also hard for our bodies to absorb and utilize, meaning it has a very low bioavailability. Next time you’re at the grocery store buying a protein bar, make sure to check the label for soy. Beans: beans are not a great choice. While they do contain protein, they are also full of starch, which pushes your glucose level. As a strong proponent of the Paleo diet, I would advise you to eat fewer beans and other starchy foods in general. Hemp seed protein: this kind of protein, unlike soy, is very bioavailable. It is easily digested and absorbed and great for immune system building. Some even consider Hemp seeds to be a super food. Chlorella: a great source of protein, if you can tolerate it (about 30% of the world cannot). Its one of the most bioavailable sources of protein out there and not to mention one of nature’s detoxifiers. However, it’s not cheap. My recommended protein sources are animal-based protein (so long as it comes from grass-fed cows, pigs, and sheep!) and plant-based protein, specifically hemp seed and chlorella. Next time you’re at the store, skip the Whey protein powder and instead try to incorporate more chicken, beef, or pork into your diet. If you feel like you have to have a powder, I really like the Great Lakes Gelatin Collagen Hydrolysate—it contains 90% protein and comes from all grass-fed animals. Eggs are another great protein source and are a complete food in general. But if you don’t tolerate dairy well or are a vegan, then opt for a plant-based protein like Chlorella. Everyone has different tastes, schedules, health conditions, and budgets, and some of these proteins will appeal more to some than others. Remember that it’s okay to follow your cravings, as long as you make smart choices. Everyone gets stressed out at some point. We feel that rush of adrenaline as our heartbeat gets louder; we might feel irritable and on-edge; some nights, we can’t even get to sleep because of all the thoughts racing through our minds. Late nights at the office, traffic, family issues, little complications, and all the other pressures of modern life can really take their toll. For some of us, these feelings occur quite often. But how do you know if what you’re feeling is a typical, temporary case of being stressed out, or something more? Healthcare professionals are starting to notice a strong connection between stress and the adrenal glands—and how too much stress can turn into a debilitating problem. First, here’s some information about the adrenal glands. On top of each of your kidneys sits a walnut sized gland that controls many of your body’s hormones. By choosing what hormones to produce at what times, your adrenal glands play a large role in regulating vital bodily functions such as: energy production for daily activities, muscle and joint function, bone health, immune health, sleep quality, thyroid function, and a healthy stress response. When you get stressed out, your adrenals put you into “fight or flight” mode. They can increase your heart rate and blood pressure, release stored energy for you to use, and sharpen your senses. To activate this response, the adrenals produce three main stress hormones: DHEA, adrenaline, and cortisol. These hormones can be very useful in short bursts. For example, when you’re in a situation with high stakes and you need to be on your toes. But our bodies are not designed to continuously be in stress mode. When your adrenals produce high levels of stress hormones for too long, you might experience some very serious side effects. This is because the body’s stress response takes priority over all other metabolic functions. Remember all those important things that your adrenals are responsible for? They all get put on the back-burner so that your body can react to stress. As a result, your health is compromised. We call this Adrenal Exhaustion. When cortisol levels are too high, you could experience everything from loss of bone density and spiking blood sugar levels to increased vulnerability to bacteria, depression, and more. Abnormal adrenal rhythms can make it harder for tissue to heal, leading to joint breakdown and chronic pain. You might have a hard time rising in the morning or feel lethargic during the day. High cortisol makes it harder to enter regenerative sleep cycles, and a lack of regenerative sleep can induce depression. Your immune system will be suppressed, and you might find yourself getting sick more often, especially with a cough. All this translates into several very common symptoms that can indicate adrenal exhaustion: low energy, behavior, mood, and memory problems, muscle and joint pain, weak bones, poor immune system health, low-quality sleep, hypoglycemia and salt cravings. Some healthcare professionals estimate that as much as 80% of the population suffers from at least some form of adrenal exhaustion. Yet, conventional medicine avoids this diagnosis. Most mainstream doctors hear these symptoms and look for Addison’s disease—an adrenal disorder that causes weight loss, fatigue, low-blood pressure, and muscle weakness. It also only affects only every 1 in 100,000 people—making it extremely rare—and is related very serious adrenal malfunction, not stress. 1) Please visit a healthcare practitioner to discuss your symptoms in full and rule out other possibilities. 3) Eleuthero Root is a Siberian herb that also works to reduce stress hormones. Its known to sharpen the memory, combat fatigue, and speed up recovery from illness. 4) Vitamin B5 helps the body convert food into fuel. We all need it to get through the day, so please make sure you’re getting enough of it. A deficiency in B5 could contribute to symptoms such as fatigue, depression, irritability, and more. 6) Simple stress reduction techniques, like getting some moderate exercise, taking time for yourself, and just resting when you can find the time. It’s important for every single one of us to take time to rest in our busy lives, especially in times of stress. Again, if you’re experiencing lethargy, depression, frequent illness, chronic pain, low-quality sleep, low-blood sugar/cravings, or general feelings of being physically and mentally unwell, then you could be suffering from adrenal exhaustion. You’re healthcare provider can put you on the road to feeling like your old self again. I would like to share with you some of the “super foods” I have found to have a great effect on maintaining one’s health. These include organic Coconut Oil, Extra virgin Olive Oil, fermented foods, and eggs, all of which I’ll talk about in future newsletters. But for this month, I would like to highlight one of nature’s most useful gifts: organic Apple Cider Vinegar. Simply gargling with a mixture of 1 part water, 1 part organic ACV can relieve a sore throat, treat canker sores, and prevent bad breath. Dab the mixture on itchy spots, boils, athlete’s foot, calluses, sunburns, warts, and even varicose veins a couple times a day for relief of redness, swelling, and pain. You can also create your own apple cider vinegar hair rinse to get rid of product build-up/residue and to seal the hair follicle, making the hair shiny and glossy. Other organic ACV recipes you can find on the web include deodorant, aftershave, skin moisturizer, face mask, etc.. The uses are almost endless. These claims may sound like nothing more than an old wives’ tale, but there are many reasons, both practical and profound, why I wanted to share this information about organic ACV with you. The typical person’s diet is contaminated with fillers, chemicals, pesticides, and more toxins that can and will harm your body. But unfortunately, the harm doesn’t stop at what you ingest. What you put on your hair and skin is also absorbed into the blood stream, and that often includes ingredients known to be toxic. Some of them have even been linked to cancer, loss of fertility, and Alzheimer’s. Organic ACV is the perfect natural alternative to these products—and, its only about $6 for a huge bottle of it. You’d spend at least that much on any single hair, face, or body product. So why pay for individual, potentially harmful personal care products when you could get the same benefits from just one—without the harsh chemicals? But the power of organic ACV reaches even farther than personal care. In addition to the properties I listed above, science is now finding that ACV has the potential to do a lot more for your health then just treat a rash. For one thing, its packed with naturally occurring nutrients, including: Potassium (essential for organ and cellular function), Iron, Magnesium (important for heart health), Enzymes (boost chemical reactions in the body), Acetic acid (slows the digestion of starch), Calcium, Pectin (helps regulate blood pressure and cholesterol), Mycoderma aceti (delivers nutrients and good bacteria) and Alpha hydroxy acid (improves cell regeneration). Heart-healthy nutrients like potassium and magnesium provide a supply of power and energy to the heart, helping to boost your workout potential and strengthen the heart muscle itself. Scientists also think organic ACV may help stave off some of today’s most common killers—metabolic syndrome, diabetes, and heart disease—by helping regulate blood sugar and normalize blood pressure and cholesterol. It could even help in the fight against obesity by making people feel fuller, thereby managing their hunger. Whether you’re concerned with preventing heart disease or getting silkier hair, I hope I’ve convinced many of you to try and incorporate organic ACV into your lives. But before you do, there are a few things you should know: ALWAYS buy organic, unpasteurized ACV, and cloudy is better than clear. I suggest drinking a little bit every day, but you MUST dilute it with water (otherwise the acidity could burn your throat and tooth enamel). My recommendation is 2 tsp ACV mixed in 8 oz of water. More ACV recipes and directions, such as household cleaning agents or garden maintenance, can be found with a simple web search. These days, we tend to underestimate or even ignore all that Mother Nature has provided us with. It doesn’t always make sense to turn to processed food, products, and treatments (if ever). This is where organic ACV comes in. A couple substitutions in your diet or personal care routine can translate to a BIG step in leading a more natural and healthy lifestyle—and may even help keep you out of the doctor’s office longer. Artificial Sweeteners--A Double Edged Sword? People have been turning to artificial sweeteners for years now in the hopes of avoiding the negative consequences associated with consuming regular table sugar: weight gain, diabetes, etc.. But recent findings suggest that artificial sweeteners (e.g. Sweet n’ Low, Splenda, Equal, etc.) may not be so healthy after all. In fact, they may be a cause of glucose intolerance, Metabolic Syndrome and diabetes (Metabolic Syndrome is a condition resulting from the consumption of a diet too high in carbs and grains. It often leads to glucose intolerance which can progress to Type 2 Diabetes.). These are all the things we seek to avoid by using artificial sweeteners in the first place! In the first part of the study, researches performed several experiments on mice to see how/if sweeteners affected them. Scientists added sucralose, saccharin, or aspartame to the mice’s drinking water, while a separate group of mice drank plain water mixed with ordinary table sugar. When a week was up, the mice that were fed table sugar were relatively unchanged; but the mice that ingested artificial sweeteners had developed a marked intolerance to glucose. After performing several more experiments, scientists found that the artificial sweeteners were altering the population of bacteria in the mice’s digestive systems, making it harder for their bodies to regulate blood sugar. Next, researchers looked to human subjects. They surveyed 381 non-diabetic participants about their consumption of artificial sweeteners, and the results showed a strong correlation between ingestion of artificial sweeteners and signs of glucose intolerance. Like the mice, those who ate artificial sweeteners also had different populations of gut bacteria than those who ate traditional sugar. In a final experiment, researchers recruited seven volunteers who typically did not use artificial sweeteners. Over six days, they were given the maximum amount of saccharin recommended by the FDA. At the end of the trial, four of the patients showed the same disruption in blood-sugar levels that appeared in the mice. Scientists then injected the gut bacteria of these patients into the intestines of mice, and found that the mice once again developed glucose intolerance—suggesting the effects on humans and mice might be the same. As a whole, this research casts serious doubt over the health of artificial sweeteners. While a single scientific study is never a final authority, the findings did prompt one of the researches to make a personal decision to discontinue his use of artificial sweeteners. At the same time, other scientists remain unconvinced, citing the small sample size of the human studies. While the study was mainly done to test the healthfulness of artificial sweeteners, it also holds relevance to a growing concern in the medical world: the role of gut bacteria in our overall health. The human body is made of 90% bacteria and only 10% human cells, and the growing body of research suggests that these bacteria may have a bigger effect on our physical and mental states than previously thought. We already know that 70% of a person’s immune system is contained in the bacteria in the gut. But according to this study and numerous others, the population of bacteria in our digestive systems could influence everything from digestion to the development of neurological disorders, possibly including depression, autism, and more. On the bright side, if so many health issues really do arise from changes in gut bacteria, then they might be countered by taking a probiotic supplement. Probiotics come in many different varieties and can help restore the population of good bacteria in our guts. Lactobacilli, for example, which is easily available on the market, may ward off stress and anxiety; another bacteria, bifidobacteria is now being associated with reduced depression. There are many different probiotics at your local grocery/drug store. They are not all the same and many are substandard. It is advisable to purchase them from a trained health care professional.. If artificial sweeteners really do have a negative effect on our gut bacteria, and consequentially our ability to regulate blood sugar, then taking a probiotic might be one way of combating this; or, as an alternative, using regular sugar in minimal amounts. If nothing else, this study reminds us that it is always important to approach food fads with a healthy degree of skepticism, and artificial sweeteners are no exception. Although there are many type of probiotics based products available, it is advisable to fist consult with a trained clinician. Back in 1998, a study conducted by a British Doctor linking vaccinations to autism caused many Americans to rethink the safety and effectiveness of vaccinating themselves and their children. Seventeen years later, that skepticism is proving hard to uproot. That study has since been thoroughly discredited—yet today, a record number of parents are refusing to vaccinate their children. A recent survey conducted by the CDC (Center for Disease Control and Prevention) found 17,253 sets of parents in California and 3,097 in Colorado who refused vaccinations for their children due to “philosophic reasons.” The result is that there are now schools in the wealthiest parts of Los Angeles that have a lower vaccination rate than in South Sudan. It’s no wonder that the national discussion around disease prevention is once again heating up. That same survey showed that the national compliance rates for the chicken pox, MMR (measles, mumps, rubella), and DPT (diphtheria, tetanus, pertussis) vaccines range from about 93.3% to 95%. This may seem reassuring—but in order to attain “herd immunity,” vaccination rates need to be at least 95%. Herd immunity is the concept that, so long as enough people are vaccinated (and thus unable to transmit a disease person-to-person), the last 5% of people who cannot be vaccinated (due to age, medical conditions, etc.) are safe from disease as well. Unfortunately, there are twenty-six states plus the District of Columbia that don’t meet the Department of Health and Human Service’s guidelines of 95% coverage for the MMR vaccine; there are another thirty-seven states that don’t even gather proper data on vaccination rates in the first place. This is cause for concern. Vaccines have wiped out many illnesses over the decades; but these illnesses still exist in the world and could very well reappear in America. Further, there are many people in this country whose health depends on other people getting vaccinated. Are the vaccine refuses, then, merely being foolish and selfish? Or are they justified in questioning the safety of vaccines? The remainder of this newsletter details some researched, proven pros and cons of getting vaccinated to help you decide for yourself. One found that children die at a rate eight times greater than normal within three days after getting a DPT vaccination. Another found that 80% of children under five who were diagnosed with whooping cough had been vaccinated for whooping cough, suggesting that the vaccine is ineffective or even infected children with the virus. However, these are just a couple studies amongst many, and you should know that the vast majority of studies on vaccines have proven them to be safe. Many vaccines contain ingredients like thimerosal (mercury disinfectant/preservative), aluminum, formaldehyde, ethylene glycol (antifreeze), phenol (disinfectant, dye), and other chemicals—things we typically do not want to put into our bodies. These ingredients usually only exist in minimal quantities and have been approved by several health organization as “okay” to put in our bodies for vaccination purposes. A small population of scientists has also recently voiced concern over the animal products used in vaccine production. These include monkey kidney cells, chicken embryos, calf blood, and more. The worry is that infected animal cells may prompt the passage of certain illnesses across species lines, putting humans in danger. The majority of the scientific community does not consider this to be an imminent threat, but you should still be informed as to how vaccines are created and produced. There has been no long range testing of vaccines in a controlled environment. This means that we can’t say, without a doubt, that we know vaccines are the reason we no longer see people contracting certain diseases. So while it is extremely likely that vaccines had a lot to do with eradicating Polio, this country has also seen much advancement in hygiene and health care over the years, which may well have played a role in combating disease as well. Take a newer vaccine, Gardisil, for example. Gardisil is a vaccine against HPV, a virus that causes cervical cancer in women. This vaccine has generated much controversy since it was made available to the public, with several people claiming permanently damaging side effects. The vaccine also prompted twice as many reports to VAERS (Vaccine Adverse Effect Reporting System) as other new vaccines. But after conducting further studies that tracked millions of patients who had received the Gardisil shots, the CDC maintained that Gardisil was a safe vaccine. The analysis looked at side effects within forty-two days of the shot. The Flu shot is another commonplace vaccine. It has a track record of 80% effectiveness, with occasional side effects that are extremely mild (chills, runny nose, body aches, etc.). And, contrary to popular belief, you cannot contract the flu illness from either the flu shot or the nasal spray. I bring this up to illustrate the differences amongst vaccines. The flu vaccine is benign for the most part and combats a very common illness. Gardisil, on the other hand, hasn’t had as much time to prove itself. While it does help prevent an extremely serious disease, cervical cancer is pretty rare for the most part, and getting regular pap smears is also an effective way of preventing it. The chart says it all in this case. Vaccines save lives! They prevent disease epidemics and have helped transform the country’s health. While they may have some unsavory ingredients in them or occasionally produce unpleasant side effects, contracting a disease like Tetanus or Smallpox would be much worse. Vaccines have been shown time and again to be safe and effective. Decades of research from medical professionals and both government and non-profit organizations around the world support this conclusion. Vaccine production is also highly regulated by the CDC, American Academy of Pediatrics, and more. The process usually takes around 10-15 years of research, development, and testing before a vaccine can be approved by the FDA for public use. Those who claim that vaccines are produced with toxic ingredients or in toxic environments are certainly making an ambitious argument in the face of such stringent control by multiple respected health organizations. Without sufficient vaccination rates, we lose herd immunity and may see a resurfacing of some of the illnesses vaccines have helped wipe out. For example, in 2010 there was an outbreak of pertussis in California, which caused 9,120 illnesses and ten deaths. The outbreak was traced back to under-vaccination. It looks something like West Africa today, where 1,000 people are being infected with Ebola each week. You can imagine what some of them would do for the opportunity to be vaccinated—an opportunity which, over on the other side of the globe, more and more Americans seem to be taking for granted. The bottom line is that vaccinations have both pros and cons. The choice between getting vaccinated or not will ultimately be a subjective one, dependent upon factors like your personal health, the vaccine in question, etc.. ALL medical procedures—including life-saving ones—have a risk of side effects. Like every other procedure, some side effects may be worse or more/less likely for you than others. The key to avoiding complications in every situation is to be INFORMED and not make your choice based on fear, or because of one thing you read on the Internet somewhere. With this information about vaccines, you are that much closer to being an informed patient and making the choice that is right for you when it comes time for your next scheduled vaccination. One recent, groundbreaking study may make you think twice about treating your next ailment by going to the drug store and picking up an herbal supplement—you might actually be buying nothing more than ground-up rice and plants. The New York State attorney general’s office released information a couple of weeks ago exposing several popular stores and companies that have been selling herbal supplements—but without the herbs! As part of their expose, New York authorities purchased 78 bottles of the leading brands of herbal supplements from various Walmart, Target, Walgreens, and GNC locations across the state. What they found was hard to digest, to say the least. “False advertising” would be an understatement when it comes to describing what these retailors have been passing off to the public. Four out of Five of the tested products did not contain any traceable DNA of the herbs they were advertised to contain. More often then not, they contained only cheap fillers, like powdered rice, asparagus, houseplants, and even legumes (like Soybeans)—a hazard to those with allergies. "Manufacturers and distributors of dietary supplements and dietary ingredients are prohibited from marketing products that are adulterated or misbranded. That means that these firms are responsible for evaluating the safety and labeling of their products before marketing to ensure that they meet all the requirements of DSHEA and FDA regulations." So, essentially, if manufacturers claim that the labels on their products are accurate, the FDA takes their word for it. Unlike the protocol for drugs, the FDA conducts no premarket review or effectiveness tests on these supplements before they hit the shelves. Rather, they are permitted to be sold in mass until something tragic happens. For example, in 2013 a supplement was finally taken off the shelves only after it caused a hepatitis outbreak, infecting 72 people, one whom lost her life. Now, all that being said, I didn’t write this newsletter to damn every supplement on the market. They do have the capacity to cause harm, but usually only when they are taken incorrectly, or when one or two companies put out false products and damage the reputation of the entire industry. In light of these new findings, we need keep things in perspective. Aspirin, for example, which is subject to strict regulation, has caused more deaths then all supplements combined in the last ten years. What I really want to get across is that when it comes to supplements, 1) cheaper DOES NOT mean better, and 2) taking a DIY approach to a health problem by picking a bottle off the shelf is usually not the answer. Ultimately, supplements are best purchased by trained, licensed healthcare practitioners, such as acupuncturists, functional medicine practitioners, nutritionists, chiropractors, and other related providers. All in all, this study highlights the fact the seeking professional opinions is more often worth your worthwhile then not, given the amount of companies these days whose only concern is exploiting the public to make a profit. Quality supplements can really have a positive effect on your health when taken the right way. But before this can happen, you have to do something equally important: be a responsible, informed consumer. While this study took place in New York, you can be sure that the chains tested in this study are not only selling sham supplements in this one area of the country. So the next time you are tempted to pluck a bottle off the shelf, I urge you to consume responsibly, which usually requires getting a professional opinion. In the end, it can you help you save a lot of time, money and frustration. One of my patients, Kathy Mitchell, died from heart disease this past December. Her death left me feeling deeply saddened and somewhat shaken. Kathy passed away at the age of 47 from Cardio Vascular Disease. This was the result of complications caused by Type II Diabetes. She was African American. African Americans are already 20% more at risk then the population as a whole from death caused by a stroke and cardio vascular disease. Kathy first came to see me about 4 months ago. She was on dialysis. Her kidney function was greatly diminished as a result of diabetes. Despite the insulin she was taking for the diabetes and the beta-blocker to lower her blood pressure, she was still in trouble. Unfortunately, Kathy’s case is not unique. 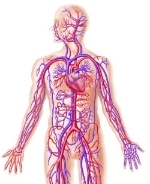 Cardio Vascular Disease (CVD) and complications from Type II Diabetes are the second cause of death in the US. There are an estimated 8 million people in this country with undiagnosed Type II Diabetes. But what upset me the most is that, the majority of the time, these conditions are completely preventable; Kathy’s death was completely preventable. The key to lessening your risk for such common illnesses as Diabetes and heart disease is to catch them as early as possible; then make the necessary life-style changes, which can be as simple as changing your diet. Kathy’s life, for example, could have been drastically different with something as simple as restricting intake of processed food and simple carbs at the very onset of her Diabetes. But before I talk about that, let’s look at ways to catch the progression of Diabetes and CVD, before they become irreversible. Before Kathy ever had Diabetes or CVD, she had Metabolic Syndrome—the root of these more serious illnesses. Metabolic Syndrome refers to a series of conditions that occur simultaneously and drastically increase a person’s risk of developing diabetes, stroke, and heart disease. These conditions include obesity, hypertension, high blood sugar, abnormal blood cholesterol, and high blood triglycerides. When a person has three or more of these disorders, that person is said to have Metabolic Syndrome, or, equivalently, Insulin Resistance. Insulin resistance occurs just in case a body can produce insulin normally, but is unable to use it effectively. It is the precursor of Type 2 Diabetes. Other risk factors of Metabolic Syndrome include obesity, physical inactivity, poor diet, age, sleep apnea, and hormonal imbalance—all of which are also precursors of Diabetes. According to the Journal of Diabetes, 36.1% of adult men and 32.4% of women had metabolic syndrome in the US in 2010; this puts an alarmingly large portion of the population at risk of developing a life-threatening condition. But thankfully, Metabolic Syndrome alone is completely reversible. But time is of the essence; once you actually develop Diabetes, contract heart disease, or have a stroke, it becomes almost impossible to reverse the damage. If you have one or more of the five symptoms of Metabolic Syndrome, but don’t see an immediate need for a life-style change, you should know that many people develop Diabetes unknowingly—that is, until the first complications show up (blurred vision, heart problems, etc.). But by that time, treatment is already less promising. In fact, it takes merely a single night of sleep deprivation for a body to start developing insulin resistance, even in completely healthy people. The most important takeaway here is that Metabolic Syndrome is reversible—but, when left unaddressed, leads to much more serious illnesses, and can even result in death. Diabetes, in particular, can cause tragedies like heart attacks, strokes, kidney disease, blindness, and even amputations. The number one thing you can do to prevent (or rid yourself of) Metabolic Syndrome and, consequently, Diabetes or Heart Disease, is to maintain a healthy life style at every age, which, as I stated earlier, can be as simple as eating healthy. This brings me to a second important takeaway: being healthy is not equated with eating fewer calories. It matters where those calories come from; i.e., a calorie is not just a calorie. There is a HUGE difference between eating 2,000 calories of carbs a day versus eating 2,000 calories of fat and protein. Due to growing research in the way carbs and gluten affect our bodies, scientists are starting to see a very negative relationship between brain health and carbohydrates. Dr. David Perlmutter calls this phenomen “Grain Brain” in his New York Times bestseller, also titled Grain Brain. He references studies that specifically link higher levels of blood glucose (a result of eating a lot of carbohydrates) to shrinkage of a critical part of the brain. Several acclaimed journals have come out with reports linking even slight increases in blood glucose to significantly increased risk for developing Dementia. The results of one study in particular showed that people who ate high amounts of Carbohydrates (as compared to those who ate more fat and protein) were 89% more at risk of developing dementia. It was only recently in the timeline of the human race that we started eating large amounts of carbohydrates. Our bodies evolved in a completely different environment, producing a genome that thrived most when nourished with healthy fats and protein. As a result, we are now seeing many harmful side effects of eating large amounts of refined carbs, including but not limited to, depression, cognitive dysfunction, obesity, and, subsequently, Diabetes. But just as the causes of these conditions can be traced back to diet, so too their cures. One study comparing Diabetes patients on a standard, low-fat “diabetes” diet versus those on the Paleo diet showed that patients on the Paleo diet had greater improvements in weight, blood sugar, triglycerides, blood pressure and waist circumference. With this in mind, I would suggest a diet low in simple carbohydrates and grains when it comes to tackling Metabolic syndrome (or any of the other conditions it causes). The Paleo diet is a practice I embrace clinically and personally. I also suggest the Mediterranean diet, which includes olive oil as the main source of fat, plenty of vegetables and fruits, legumes, a moderate-to-high amount of fish and seafood, small quantities of red meat and dairy products, and moderate amounts of wine. The most general advice I can give is to always avoid processed foods, especially any industrial seed oils, like Canola oil or Vegetable oil, which are tremendously processed and often contain harmful chemicals. Diet change should also be supplemented by moderate exercise for 30-60 minutes a day for the best results. This can be as simple as taking a walk. But if you can’t fit a walk in everyday, try standing at your desk as opposed to sitting; you’ll burn 75% more calories that way. If Kathy’s doctors had advised her to make any of these changes, she might still be here today. Instead of addressing her Metabolic Syndrome before it progressed, she was given medical attention only after she had already developed diabetes. By that stage, most doctors treat their patients merely by giving them insulin. Because insulin feeds off of glucose, patients then tend to crave even more carbs—the very thing that caused their condition in the first place! Kathy motivated me to write this newsletter precisely because her death was no unnecessary. No one should have to die from a disease that is entirely preventable. Kathy’s life may have been spared if only more doctors were looking for Metabolic Syndrome in its early stages and advocating low-carb diets and exercise, as opposed to prescribing useless pills after it is already too late. Ultimately, our diets are one of the best tools we have for living a long and healthy life, even when it seems like more and more practitioners are relying on pills and medication. Eating healthy is never something that one does unnecessarily, gratuitously, or overcautiously. It can, however, be something that you do too late. The Power of Vitamin C, Taking the Correct Dose. Cold and flu season is upon us, and that combined with the business of everyday life can make it much more challenging than usual to stay healthy. I’m sure many of you are wondering what you can do to avoid getting a cold or the flu (or get better!) in the new year without having to slow down. One recommendation I have is to find a way to include more Vitamin C in your diet. While it has the reputation of being mainly a pirate’s cure for scurvy, Vitamin C can have a constellation of positive effects on a person’s health, helping to overcome illnesses like bronchitis, gum disease, influenza, stomach ulcers, bladder infections, to name only a few. It’s all a matter of taking it at the right time, in the right form, and in the right amount, all of which I will explain in this newsletter. If you’re skeptical of the power of Vitamin C, you should know that its effect on the body has been thoroughly tested and understood by researchers and scientists. In a normal, healthy person, the vitamin acts as an antioxidant and helps generate the synthesis of collagen, which helps strengthen blood vessels and body muscles. Because of these regenerative properties, Vitamin C has been tested as a healing agent against many viruses. Scientists have found it to have significant therapeutic power in the face of even devastating diseases like AIDS and Polio. Today, Vitamin C is believed to play a valuable role in a person’s general health, doing everything from treating a common cold (and other viruses), boosting the immune system, and lowering hypertension, to curing cataracts, treating cancer, combating stroke, maintaining skin elasticity, and even controlling the symptoms of asthma. Vitamin C has also been found to speed up wound healing by facilitating the growth of connective tissues. The vitamin can even affect the mood of a person by assisting with the production of neurotransmitters—key for proper brain function! Given all this scientific evidence, we can see how important it is to include Vitamin C in our diets—and there are a few different ways to do this. Vitamin C supplements come in tablets, capsules, powder, and food. Going with regular, low-cost, ascorbic-acid is my recommendation. I know there are several mineral ascorbates on the market, touting better absorbance; however, these forms of the vitamin only carry about half the antioxidant content of regular ascorbic-acid, and therefore are only about half as effective—so skip the minerals. Additionally, when you’re ingesting Vitamin in large amounts, you’ll want to stay away from most tablets and go for a capsule instead. Tablets often contain a lot of fillers, things you don’t want in high amounts. Be sure to check the ingredients of any supplement you buy; you want as few chemicals/fillers in it as possible. You’ll also want to look into liposomal Vitamin C if you plan on taking ascorbic acid in large amounts. Liposomes help the body absorb Vitamin C, so it’s a good idea to alternate between doses of regular Vitamin C and liposomal Vitamin C to get the best results out of your supplements. Do know that, whichever form of Vitamin C you choose, you’ll need to ingest it in rather large amounts in order to experience any of its therapeutic properties. Most people don’t take nearly enough Vitamin C to really be effective. If you’re currently healthy, I would suggest taking about 500-1,000mg of Vitamin C a day as a preventative measure. But if you are actively trying to fight off a cold or the flu, you need at least 8-10g (8,000-10,000mg) of vitamin C a day. My suggestion is to take 2,000mg every hour, alternating between regular ascorbic acid and liposomal Vitamin C, in order to have a chance at beating a cold or the flu. Perhaps even more important than the amount of Vitamin C you take is the timing at which you take it. Scientists, doctors, and nutritionists alike will tell you that all the benefits of the vitamin are entirely contingent upon how you take it and when, so lets go over a few basic rules for taking Vitamin C.
The first rule to remember is to pay careful attention to the timing of when you take each dose. I cannot stress this point enough. The thing about Vitamin C is that it helps with illnesses because, when taken in large doses, not of all it can be absorbed in the blood; some stays in the gut, and can then be pulled in by the body to fight a virus. In order to achieve these sort of vitamin C reserves in the gut, you’ll want to take medium-sized doses of Vitamin C often as opposed to one large dose once a day, in order to keep a steady flow of it in the body. Remember, Two doses of 3 grams, taken twelve hours apart, are better than 6 grams taken all at once. The second rule is to start small. Vitamin C intake is going to be limited by your bowel tolerance, so start at about 500-1000mg and see how it affects your stomach. If you’ve exceeded bowel tolerance, you may experience gas or loose stools. At the first sign of these side effects, simply scale back your dosage a bit and let your stomach acclimate before taking more Vitamin C. However, so long as your bowel is tolerant, don’t be afraid to take it in what may seem like excessive amounts. With Vitamin C, there is a “threshold” that needs to be reached, above which the vitamin can have dramatic effects. You’ll need to take Vitamin C in very large amounts in order to reach this threshold; if the threshold isn’t reached, the Vitamin really doesn’t have much an effect at all. Again, 10,000mg is needed to fight off a cold or flu, but for more serious diseases, like Cancer for example, 60,000mg-100,000mg of Vitamin C a day is needed. This large of an amount can only be taken through IV therapy. Lastly, to ensure that large doses of Vitamin C have a positive impact on your health, you’ll want to create optimal conditions in your body so that it can use the vitamin effectively. I advise you cut back on carbs/sugar and smoking, both of which mute the vitamin’s effects. Further, if you’re worried about kidney stones (which are truthfully a very small risk of taking large amounts of Vitamin C), you can add magnesium citrate to your supplement regimen. If you have kidney-disease, iron overload disease, or glucose-6-phosphatase deficiency, however, you shouldn’t take Vitamin C in high doses at all. I hope you will all consider adding more Vitamin C into your health care regime, either as a complement to existing flu/cold medications or even as a non-drug alternative—you really can never be too safe at this time of year. Part Two: How To Include Carbs Into Your Diet. First off, I hope everyone had a great thanksgiving. While you all know I endorse a Paleo lifestyle, I will admit that I myself ate my fair share of carbs last Thursday—and lived to tell the tale. Hopefully my last newsletter helped you to understand important role carbohydrates play in both physical and mental health. But an informed decision to include this macronutrient into your balanced diet is only the first step. Now, the questions you're probably asking are: which carbs are the healthiest? How can I incorporate them into my diet with maximum results? And finally, how do I know what exactly what my carb-intake should be? This last question is perhaps the most important, as a lot of people tend to mentally misconstrue how much of a certain food group they are ingesting. Do you know what are the recommended daily allotments of carbohydrates for someone of your age and weight? Have you ever kept track of the grams or percentage of calories you are receiving from carbs? As I explained in part-1 of this 2-part series on carbohydrates, something as basic as carb-intake can have an effect on health conditions from depression and lethargy to digestive upset and athletic performance. Keeping a balanced diet is undeniably one of our most valuable roots to good health. So, I have written the following newsletter to expose just which carbohydrate-containing foods offer the most benefits, like increased energy, healthier sleep patterns, etc., and I have included an easy process to help you calculate your own individual, optimum carb-intake based on health conditions, exercise level, age, weight and other factors, so that you can all get the most health benefits out of your diet. If you’ve been shying away from carbohydrates until now, I’m guessing that’s because you think they make you gain weight. And that’s true—in some cases. If you generally eat very low amounts of carbs but binge on pizza or bread every once in a while, you will probably find that these slip-ups do add on some pounds. Don’t blame carbohydrates as a whole though; blame the refined and processed carbs that constitute America’s favorite junk foods. Carbs must be incorporated into a diet strategically and thoughtfully in order to avoid the harmful side effects that can result from ingesting certain refined carbs, like sugar and white flour. Following are some charts of diet-friendly foods and the amount of carbs (in grams) they contain. If you want to know more about which carb-containing foods to keep and which to toss, take a look at the November newsletter (click here). The moral of the story is that, when you’re choosing which carbohydrates to eat, please choose carefully; i.e. go for fruit, not chips. Knowing which carbs to eat is only half the work though. The next step is figuring out how much of your daily calories should come from carbohydrates—something that will ultimately be a result of personal factors and preferences. The following information is meant to help you customize your own diet in a way that can have you feeling your best; it just takes a little diligence and patience. Step 1 is to assess what percentage of carbs will work best with your life-style and weight goals. First, look at any diseases or health conditions you may be suffering from. For example, if you have diabetes or small intestinal bacteria overgrowth, you are going to want to start off in the low-carb category. If you have adrenal fatigue, are breastfeeding, or are a moderate to heavy exerciser, you’ll probably want to start at a moderate carb level. There are many other conditions that can affect how well your body receives carbs, so please be sure to assess your overall health when deciding what amount of carbs might work best for you. If you have multiple conditions that require opposite amounts of carbs, you should consider working personally with a practitioner. If you don’t have a condition that places you in a particular spot on the carb-intake spectrum, the best place to start is with a moderate carb diet. I suggest keeping a food diary in order to keep track of any symptom regression/improvement. Ultimately, the best indicator of carb-intake is how you feel, e.g. good, bloated, weak, etc.. Based on this diary, you can experiment by increasing and decreasing your carb percentage until you find a level that benefits you the most. If you are unsure how many calories you should be consuming each day, you may want to search the web for an online calorie calculator. Otherwise, 2000 is a reasonable number to start with. So if you want 20% of your calories to come from carbs, multiply .20 x 2000 = 400. This is the number of calories you should be getting each day from carbohydrates. If you don’t feel like counting calories you can divide this number by 4 to figure out how many grams of carbohydrates you should be eating each day. 400 / 4 = 100g of carbs a day. Based on the first few charts, we see this goal can be met by eating a banana and an apple between meals, ½ a head of romaine lettuce in a salad for lunch, and a sweet potato with dinner, for example. If this process sounds a little too mathematical to you, you can also use the basic rule of thirds, which requires your plate to be 1/3 protein, 1/3 starch, and 1/3 low-carb vegetables and tubers. Following this rule will put you somewhere near the moderate-carb level. I would like to stress that the diet calculation process as a whole is somewhat imprecise and for most, it will take some experimenting. Start in a moderate position unless you have one of the aforementioned health conditions, see how you feel, and adjust your carb-intake from there. My final advice is to please give each stage of your experimenting a fair amount time for your body to acclimate. If you eat only 10%-15% of calories from carbohydrates and you start feeling sluggish, have a harder time shedding that last pound or two of fat, or aren’t sleeping as well, you might need to consider slightly raising your carb-level. If you’re eating 30% or more of calories from carbs and you notice weight gain or digestive upset, you should consider a moderate or low-carb diet. Remember: patience is key. There’s no miracle diet or one-size-fits-all approach. But, if you do give your diet the time and attention it deserves, the results should be well worth it. As most of you know, I am a strong proponent of the Paleo lifestyle. My practice is very Paleo focused. Paleo eating leans heavily on vegies, fruits, nuts, seeds, eggs and grass fed protein. It strongly suggests a very limited consumption of grains, simple carbs and little dairy. Having said that, there is an important place for carbohydrates in your diet. They play are critical roles in many aspects of our health and metabolism. So the real questions is “What is the correct about of carbs you should be consuming?” This is the first of two news letters that will examine living a truly healthy life in relationship to the role carbs play in our diet. Never before in human history have we been exposed to so many environmental toxins! The air we breathe and the chemicals in our food, water, houses, and workplaces – as well as the various products we put on our bodies – all expose us to environmental toxins. Low-level bioaccumulation from multiple sources increases our toxic food, which may have the potential to affect our health. This is especially true with persistent bioaccumulative toxic (PBT) chemicals, since they are not readily destroyed and can remain in our systems for a long time. According to the Environmental Protection Agency, many chemicals that can be harmful to humans, including PBT chemicals, are not even subject to reporting under the Toxics Release Inventory (TRI) program. Our bodies’ detoxification organs – the kidneys, liver, lymph, lungs, intestines, and skin – are equipped to neutralize these toxins and work hard each day to either clear them out or store them. However, due to factors such as genetics, stress levels, dietary issues, lifestyle practices, nutritional balance, and exposure, our ability to neutralize and excrete these toxins may vary. Unless we take active steps to address toxic exposure, our health may be affected to varying degrees. The best approach is to support the body on many fronts. A simple cleansing diet or supplements, although helpful, may not be enough to make a major difference. The Detox 360° program has been designed by healthcare and nutrition experts to provide a coordinated, multifaceted approach. The goal of Detox 360° is to provide dietary and lifestyle recommendations, with supportive nutritional formulas, to support health and wellness. It is a multifaceted program that is intended to support the immune, filtering, cleansing, and metabolic systems, as well as much more. The program helps anchor health-supporting habits, so that dietary adjustments can be easy to follow. It can be used as a stand-along program or in conjunction with the regimen designed by your healthcare professional and can be repeated periodically. The dietary recommendations in this program help reduce problematic foods in one’s diet. This four-week program includes educational DVDs, a manual with easy-to-use food guides and recipes, daily journals, detailed explanations of sources of toxicity, detox mechanisms, detox-supporting lifestyle practices, targeted nutrition, and nutritional and homeopathic products. You are taken through a simple, step-by-step approach with clear explanations of how to complete each week’s regimen. Medications, Placebo, the Right Word: What works best? 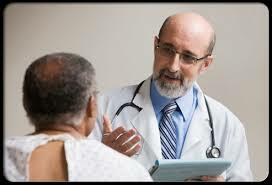 Have you ever considered the value of your doctor’s words and demeanor when it comes to healing disease? Have you ever entertained the possibility that they could even have as great an effect on pain-management as an actual drug? In light of new research, the way a doctor conducts himself in the presence of a patient might have a greater impact on health then anyone ever thought possible. The credit for this discovery goes out to a branch of science that was only recently legitimized: Placebo studies. According to WebMD, a placebo is something that appears to be a medical treatment, but actually does not contain any active ingredient meant to affect health. The placebo effect, then, is the response a person can sometimes have to a placebo, e.g. symptom improvement, or even negative side effects. Ted Kaptchuk, the current leading researcher in Placebo studies, has seen both kinds of effects. His first clinical drug trial involved comparing acupuncture and pain pills as treatments for tendinitis and elbow pain. Some patients called in reporting negative side effects from both treatments: debilitating lethargy from the pills and painful swelling and rashes from the needles. However, many patients also reported feeling a lot better after treatment, with patients who received acupuncture experiencing the greatest relief. The catch is that none of the patients actually took real pain-reducers or had real needles stuck in them. The pills were made of cornstarch and the needles had retractable tips that were unable to pierce skin (Knox). This is only one of several studies done by Kaptchuk that shows patients having a real physical response in the absence of active medical ingredients. In another study, Kaptchuk gathered 66 volunteer migraine patients and tracked seven migraine attacks in each (495 attacks in total). He compared four different “treatments” in his patients: Maxalt (a common migraine medicine), labeled as such; a placebo, labeled as Maxalt; and a mystery pill, labeled as being either Maxalt or a placebo, and; simply taking no pills at all. Subjects were asked to rate their pain level after each attack and accompanying treatment (Feinberg). Subjects who took no pills reported a 15% increase in migraine pain. Subjects who took a placebo labeled as such reported experiencing 26% less pain. Subjects who took a Maxalt pill labeled as such reported a 40% decrease in pain. And finally, when subjects took the “mystery pill” that could have been either Maxalt or a placebo, they also reported a 40% decrease in pain (Feinberg). Two important conclusions we can draw from this study is that 1) even when patients know they are taking a placebo, they still produce a physical response, and 2) that a placebo has the power to reduce a migraine patient’s pain as much as a scientifically proven drug! Mind you, this is not to say that Maxalt is a completely impotent drug. While patients taking Maxalt and Placebos both reported a 40% decrease in pain in the short term, it turns out that 2.5 hours after taking the pills, the patients taking Maxalt were four times likelier to report being pain-free than those who had taken placebos (Feinberg). Still, Kaptchuk’s groundbreaking work has allowed researches to conclude that a whopping half of a drug’s effect comes merely from our expectations of it! (Feinberg). This is because, as it turns out, Placebos have the power to influence a patient’s brain using the exact same biochemical pathways as a drug. Studies have proven that placebos increase dopamine (the chemical associated with feelings of pleasure) in the brains of those suffering from both Parkinson’s and depression. In fact, besides Parkinson’s and depression, patients afflicted with sleep disorders, IBS, migraines and other pains, and menopause are all in the running to enjoy these same benefits from mere placebos ("What Is the Placebo Effect?"). But sham medicine in itself is not the only way a health care professional can manipulate a patient’s response. Kaptchuk is actually an acupuncturist by training, and a very successful one. While he never questioned the beneficial effects of acupuncture, he couldn’t help but notice that many of his patients started showing improvement before being touched by a single needle. He began to hypothesize that the nature of his interactions with his patients, essentially the act of caring itself, was the explanation behind their sudden improvement (Knox). He put his hypothesis to the test in the early 2000s. In collaboration with gastroenterologists studying Irritable Bowel Syndrome, Kaptchuk was able to measure the effect of a doctor’s words and behavior on 262 adults with IBS. The patients were split into three groups. Group 1 received no treatment, group 2 received sham acupuncture from a detached and somewhat absent practitioner, and group 3 received sham acupuncture from a practitioner who offered copious amounts of attention and sympathy to the patients. Care lasted at least twenty minutes and included a form of physical comfort, like hand-holding. Kaptchuk was not surprised to see that the patients who experienced the most care fared the best (Knox). Yet another significant study done by Kaptchuk, researchers learned that the Placebo effect actually consists of many components, including the way in which the doctor delivers the placebo. This was also the first study to show a dose-dependent response for a placebo, the placebo being, in this case, the level of care and nurture given by the practitioner during treatment (Knox). However, it should be pointed out that the patient’s own subjective measure of symptom improvement does not necessarily reflect a real change in health. In another of Kaptchuk’s experiments, patients suffering from Asthma were given placebo medication and then examined to see if their airways had in fact opened. Unfortunately, the placebo didn’t yield effective results. But, fascinatingly, the patients still reported symptom improvement. This serves as an important reminder that while mentality can indeed have a large affect on physical health, it is not necessarily always a reliable healing tool (Feinberg). Given the evidence, in the end the patients who will fare the best will probably receive a harmonious balance of drug and non-drug treatment including, but not limited to, proper nurturing and words of hope from a doctor. If nothing else, Kaptchuk’s studies will hopefully encourage more and more doctors to treat their patients with care and respect. If a doctor’s attitude toward his patients can elevate the effects of sham medicine, then just imagine the potential benefits for a patient who receives a genuine treatment and exceptional care from his/her doctor! If you’ve heard it once, you’ve heard it a thousand times: all sugar is created equal. This is true in principle – the glucose, fructose, and sucrose found in sugar cubes or high fructose corn syrup (HFCS) are the same molecules as the glucose, fructose, and sucrose in honey, fruit, and starchy vegetables. The chemistry is all the same. But just because everything is the same at the molecular level does not mean that your body will use each kind of sugar in the same way. In this article, I’ll show you why you should care about the kind of sugar you put in your body. Fructose is a simple sugar molecule with it’s own chemical structure, and HFCS is a mixture of fructose with glucose in a more or less 1:1 ratio. Does fructose cause type 2 diabetes? Lately fructose has gotten some bad press. Scary studies conducted on animals showed that fructose administration can cause dyslipidemia, non-alcoholic fatty liver disease, insulin resistance, and even Type 2 Diabetes. But, how often does anyone eat huge quantities of pure fructose? Not often. Fructose is not found in isolation in nature or even in our own reductive food supply. These studies are irrelevant at best and misleading at worst. In other words, pure fructose affects the body in very different ways than the fructose in sugar or HFCS. Fructose in isoloation can cause type 2 diabetes, but unless you are going to a lab to be tested on for a study, you aren’t going to find fructose in isolation anywhere else. Fruit: a dangerous shot of sugar? If fruit contains sugar and carbs, should we avoid it? You probably know that eating an apple is better than eating a bag of jelly beans, but fruit is still seen as a source of sugar and therefore labeled “bad.” Especially in the Paleo or low-carb communities, the idea is that “sugar is sugar,” and you just shouldn’t eat it. While the chemical properties of sugar are indeed the same, how sugar is metabolized really depends on how it was made and other nutrient elements present in the food. First of all, have you ever heard of anyone binging on peaches? Probably not, but you most likely have heard of people bingeing on candy. The fiber and water found in whole fruit increases satiety, which means you are less likely to eat an excessive amount calorically. And even for those people that do get a significant portion of their calories from fruit, such as in traditional cultures like the Kuna, their bodies remain lean and healthy. Studies going back more than forty years have proven that fruit can be a part of a healthy diet, and countless people are living examples of that proof across the globe. But what about those animals that experienced adverse reactions to consumption of fructose? Many studies have proven the health hazards of fructose in isolation, but all studies on whole fruit show that eating fresh fruit may actually decrease the risk of obesity and diabetes. For most people, 3-5 servings of fruit a day is ideal, although some people who already have insulin resistance, diabetes, or metabolic syndrome see improvements in their symptoms from restricting fruit intake. In other words, the fiber, water, and other nutrient elements in fruit mean that the fructose in whole fruit is processed completely differently than the fructose isolated in the lab for testing on animals. Countless studies show that drinking your sugar is very harmful, predominantly because most people fail to reduce the calories of sugar they eat when they increase the calories of sugar they drink. For example, a study of 323 adults found that those who did increase the calories of sugar they drank did not decrease their overall caloric consumption of sugar from other sources. What’s the take home message here? It’s easier for us to limit sugar we eat. All sugar is not created equal, and this is also applicable to the amounts of sugar we consume based on how it is packaged- either as a solid or a liquid. Would bees know the difference between real and fake honey? Although artificial honey is the same chemically as real honey, the metabolic effects are absolutely different. In one study, real honey helped to decrease triglycerides, LDL cholesterol, increased HDL cholesterol, and even decreased plasma homocysteine- all good things. Artificial honey used on the same subjects, on the other hand, raised the triglycerides and LDL cholesterol. In other words, bees and certainly your very own body can tell the difference between the real deal and the fake stuff. I hope I’ve demonstrated that the phrase “sugar is sugar” is completely inaccurate. The source of sugar does make a difference, and we need to be careful about demonizing foods that don’t deserve it. We also need to make sure that we don’t glorify cheap knock-off’s of the real deal, like honey. I hope this article helps you to make the best decision for yourself when it comes to sweeteners. In the last article of this series I discussed artificial sweeteners, and gave you my take on whether you should include them in your diet. This week, I want to talk about sugar alcohols, which are another popular low-calorie sugar substitute. Xylitol is the most popular and most extensively researched, so I’ll focus my discussion on it, but the general takeaway of this article applies to other sugar alcohols as well, such as sorbitol and erythritol. Xylitol and sorbitol are commonly used as sugar replacements, but are they safe? Here’s what you need to know! Sugar alcohols are a type of ‘low-digestible carbohydrate,’ a category that also includes fiber and resistant starch. Sugar alcohols occur naturally in many fruits and are also known as ‘polyols,’ which you may recognize as a FODMAP. Unlike artificial sweeteners, sugar alcohols aren’t completely calorie-free, because we are able to digest and absorb them to some extent. The absorption rate varies among sugar alcohols, from about 50% for xylitol to almost 80% for sorbitol, depending on the individual. Erythritol is almost completely absorbed, but is not digested, so it provides almost no calories. Compared with artificial sweeteners, sugar alcohols have very few safety and toxicity studies, and are generally accepted as safe. In one long-term human study, 35 participants consumed xylitol as their primary dietary sweetener for two years, and no adverse effects other than GI distress were observed, and GI symptoms dissipated after the first couple months. The amount of xylitol consumed during this trial regularly exceeded 100g per day, often going over 200g per day, depending on the participant. Sugar alcohols are a popular choice for weight loss due to their reduced calorie content, and for diabetics due to their low glycemic index. There’s not nearly as much research on the metabolic effects of sugar alcohols as there is on artificial sweeteners, but the evidence we have suggests that sugar alcohols are at least harmless, and possibly beneficial. For the most part, sugar alcohols cause no appreciable changes in blood glucose or insulin in humans, and sorbitol and xylitol have not been found to raise blood glucose following consumption. In diabetic rats, 5 weeks of xylitol supplementation (as 10% of their drinking water) reduced body weight, blood glucose, and serum lipids, and increased glucose tolerance compared with controls. Two other rat studies also found that xylitol-supplemented rats gained less weight and fat mass compared with control rats, and had improved glucose tolerance. Because sweetness does not predict caloric value in sugar alcohols, one might expect that they would cause the same ‘metabolic confusion’ that is seen with noncaloric artificial sweeteners. Unfortunately there isn’t enough evidence to form a conclusion about this, but my feeling based on what I’ve read is that this isn’t a significant issue for sugar alcohols. For one, sugar alcohols aren’t ‘intense sweeteners’ like artificial sweeteners, which are hundreds of times sweeter than sugar. In fact, many are less sweet than sugar. Also, sugar alcohols do provide some calories, so there’s not as much of a discrepancy between the caloric load your body expects and the caloric load it actually gets. Does xylitol prevent tooth decay? The most well-known health benefit of xylitol is easily its effect on dental health, and evidence for xylitol’s ability to prevent tooth decay is pretty robust. A couple trials have found xylitol to be more effective at preventing cavities than fluoride, and benefits of xylitol consumption have even been observed in children whose mothers chewed xylitol-containing gum. Unsurprisingly, the most drastic effects are observed when xylitol replaces sucrose in either the diet or in chewing gum, but significant reductions in cavities have been observed when xylitol is simply added on top of a normal diet as well. Although some effects of xylitol are undoubtedly due to nonspecific factors such as increased saliva production or the replacement of sugar, it does appear to have specific properties that support dental health. Xylitol is not fermentable by common plaque-forming oral bacteria like sugar is, so it doesn’t provide a food source. Additionally, xylitol actively inhibits the growth of these bacteria. It also forms complexes with calcium, which may aid in remineralization. While sugar alcohols appear to be safe and potentially therapeutic, they are also notorious for causing digestive distress. Because sugar alcohols are FODMAPs and are largely indigestible, they can cause diarrhea by pulling excess water into the large intestine. The fermentation of sugar alcohols by gut bacteria can also cause gas and bloating, and sugar alcohols may decrease fat absorption from other foods. However, most evidence indicates that people can adapt to regular sugar alcohol consumption, and the adverse GI effects reported in studies tend to fade after the first month or two. Erythritol is probably the best-tolerated sugar alcohol, and a few human trials have found that if the amount of erythritol is gradually increased and doses are spread throughout the day, many people can tolerate large amounts (up to1g/kg of body weight) of erythritol without GI distress. The average tolerance for xylitol and sorbitol is lower; most study subjects could tolerate about 30g per day without a problem, but significant adaptation was necessary to increase xylitol content in the diet. A few studies indicate that sugar alcohols may have a prebiotic effect. This isn’t too surprising, considering the prebiotic effects of other low-digestible carbohydrates such as fiber and resistant starch. Animal studies have found that xylitol causes a shift from gram-negative to gram-positive bacteria, with fewer Bacteroides and increased levels of Bifidobacteria. A similar shift has been observed in humans, even after a single dose of xylitol. Additionally, the shifts observed allowed for more efficient use of the sugar alcohols by gut bacteria, which largely explains the reduction in GI symptoms after a few months of regular consumption. In addition to the potential metabolic, dental, and prebiotic benefits already discussed, xylitol shows promise for preventing age-related decline in bone and skin health. One interesting study found that 10% xylitol supplementation over 20 months increased collagen synthesis in the skin of aged rats, resulting in thicker skin. Preliminary rat studies have also shown that xylitol can increase bone volume and mineral content and protect against bone loss. Overall, sugar alcohols appear to be safer than artificial sweeteners with several potentially therapeutic effects. Although the metabolic and weight loss benefits of sugar alcohols haven’t been studied as extensively, I would recommend sugar alcohols over artificial sweeteners to anyone who needs a low-calorie sweetener, although I wouldn’t recommend that anyone consume huge amounts of them. I’ll also be interested to see additional research on their ability to alter the gut microbiome and disrupt biofilms, because this could make sugar alcohols a useful tool for certain patients. At this point, there don’t seem to be any major problems with sugar alcohols, so if it’s something you’re interested in, I would experiment with your own tolerance and see how they affect you. However, people with gut issues should be cautious. Artificial sweeteners continue to be a controversial public health issue, and the research keeps coming. In fact, a new study on artificial sweeteners and weight loss was just published on Monday, and the FDA approved a new artificial sweetener (advantame) last Wednesday. On one hand, many people are adamantly opposed to the use of artificial sweeteners because of the purported link with increased risk for cancer and other diseases. But on the other hand, artificial sweeteners are becoming increasingly popular as people try to reduce calorie consumption and lose weight. There’s too much research out there to cover comprehensively in a blog article, but I’ll try to cover the basics: will artificial sweeteners give you cancer or other diseases? Do they actually help with weight loss, or do they hurt? And ultimately, should you be eating them? Artificial sweeteners were first tied to cancer risk in the 1970’s after a study showed that a combination of saccharin and cyclamate (another early artificial sweetener) caused bladder cancer in lab rats. The mechanism behind these effects was later found to be specific to rats and not generalizable to other animals or humans (in these rats, comparable doses of vitamin C can also cause bladder cancer), and further studies demonstrated that neither sweetener is carcinogenic. However, this study cast a shadow of doubt over artificial sweeteners, and thanks in part to the media’s penchant for blowing things way out of proportion, the reputation of artificial sweeteners has never recovered. A later study suggested a link between aspartame consumption and brain tumors. The authors based this hypothesis on the fact that both brain cancer and aspartame consumption had increased since 1980 – despite not knowing whether the people getting brain tumors actually consumed artificial sweeteners – and on a rat study where aspartame supplemented diets led to the formation of brain tumors. This association has been more or less dismissed by the research community because three case-control studies have found no association between brain tumors and aspartame consumption, and subsequent animal studies haven’t been able to replicate the aspartame-induced brain tumors found in the original rat study. Artificial sweeteners have also been implicated in the development of lymphoma and leukemia, and one observational study found a weak link between artificial sweetener consumption and development of non-Hodgkin lymphoma and multiple myeloma in men, but not in women. The study authors concluded that due to the inconsistency in their results, there isn’t likely a causal link, although it can’t be ruled out. Artificial sweeteners have also been tested for associations with other cancers, including breast, pancreatic, stomach, colon, and endometrium, with no correlations found. Based on the evidence, I don’t think artificial sweeteners are a huge risk factor for cancer, although the possibility can’t be ruled out and caution is warranted. Artificial sweeteners have also been increasingly tied to increased risk for developing metabolic syndrome and related diseases such as diabetes and cardiovascular disease. Numerous observational studies have attempted to parse out a consistent association with disease risk, but for every study that has linked artificial sweetener consumption with metabolic syndrome, heart disease, or diabetes, there’s another that has found no association. This inconsistency shouldn’t come as a surprise, given the inherent limitations of observational evidence, but because there’s little to no clinical evidence in humans to test these hypotheses, the effect of artificial sweeteners on risk for these diseases remains inconclusive. There has been concern in recent years over a potential link between artificial sweetener consumption and pre-term delivery, prompted by two observational studies published in 2010 and 2012. These studies have significant limitations: the associations are small and not linearly dose-dependent; not all artificially-sweetened beverages were accounted for; and women who consume more artificially sweetened drinks also tend to smoke more, have higher BMI, and lower socioeconomic status. All told, the risk seems small, but I would advise pregnant women to avoid artificial sweeteners just to be on the safe side. For most people, the primary motivation for consuming artificial sweeteners is a desire to reduce calorie consumption and lose weight. But do artificial sweeteners actually help achieve that goal? Yet again, the evidence is mixed. Many observational studies have found a positive association between artificial sweetener intake and obesity, but in this situation, reverse-causality is particularly likely. In other words, while it’s possible that artificial sweeteners contributed to weight gain in these studies, it’s also possible that people who are overweight are more likely to choose diet beverages and other artificially sweetened foods in an effort to lose weight. We also have a decent number of clinical trials testing the weight loss effects of artificial sweeteners in humans, although many are too short-term to have much practical significance. In one study, overweight subjects were given supplements of either sucrose or artificial sweeteners for 10 weeks. At the end of the trial period, subjects in the artificial sweetener group on average had experienced a reduction in weight, fat mass, and blood pressure, while subjects in the sucrose group gained weight and had increased blood pressure. A study just published this week on weight loss and artificial sweeteners was surprisingly positive: over a 12-week period, participants who were instructed to drink 24 ounces of artificially sweetened beverages every day actually lost more weight than participants who were instructed to drink 24 ounces of water daily. (It’s worth noting that this study was fully funded by The American Beverage Association.) Other trials have also shown successful calorie reduction and weight loss in participants who consumed artificial sweeteners (usually in the form of beverages). Based on this evidence, it seems that artificial sweeteners can be helpful for weight loss in some circumstances, at least over the short term. However, due to the limited nature of these studies and the evidence I’ll present next, I hesitate to draw any conclusions. Do Artificial Sweeteners ‘Confuse’ The Body? For most of human history, sweeteners were inextricably tied to caloric density. If our sweet taste receptors evolved primarily to help us identify calorie-rich food sources, how will our bodies respond when our taste receptors are consistently bombarded with sweetness, but with no concomitant calorie surge? Animal models certainly indicate that artificial sweeteners can impair the innate ability to regulate caloric intake. Rats who are fed with artificial sweeteners consistently gain more weight than rats who are fed with glucose or sucrose. Additionally, the rats don’t tend to lose the excess weight, even after their diets are switched back to glucose or sucrose to re-establish the calorie-predictive nature of sweet taste. Interestingly, rats who were given stevia solutions gained significantly more weight than the glucose-fed rats, and similar amounts of weight to the saccharin-fed rats. Rats fed with artificial sweeteners also develop an impaired ability to respond to sugar-containing foods. In one study, rats who had been fed artificial sweeteners were unable to compensate for the calorie content of a sugar preload by eating less chow afterwards, while rats who had been fed sugar-containing food compensated almost perfectly for the extra calories in the preload by eating less chow. Rats that have been conditioned with saccharin also display a reduced thermic effect in response to consumption of a caloric sugar-containing meal, as well as higher blood glucose, compared with rats who had been conditioned with glucose. Additionally, saccharin-fed rats secreted less GLP-1 (which is implicated in satiety and glucose homeostasis) when given a sugar-containing test meal. Unfortunately, although the animal evidence is fairly robust, evidence in humans is limited. However, two interesting studies that used MRI to measure brain responses to sucrose solutions indicate that artificial sweeteners may alter the brain’s response to sweet tastes in humans. In one study, people who regularly consume artificially sweetened drinks had higher reward responses to both saccharin and sucrose compared with people who don’t consume artificial sweeteners. Should You Be Eating Artificial Sweeteners? My conclusion might seem a little anticlimactic after all that information, but the point I’d like to drive home is that artificial sweeteners are extremely new to the human diet, and for modern, industrial foods, the operating principle should always be “guilty until proven innocent.” We’ve conducted what are essentially population-wide experiments with the introduction of other industrial foods (such as high omega-6 vegetable oils) because the initial evidence seemed promising, and we can see how well that worked out. Despite some successful short-term weight loss studies, I don’t think the potential therapeutic effects of artificial sweeteners have been demonstrated clearly enough thus far to warrant widespread consumption, especially given the conflicting links with disease risk and the questionable influence on appetite regulation and weight control. Ultimately, while artificial sweeteners are perhaps not as scary as some might believe, I don’t recommend including them in your diet. The ancestral health community and other heath-conscious bloggers have increasingly embraced natural sweeteners such as honey, stevia, and maple syrup as healthier alternatives to refined sugar. But just how much healthier, really, are these natural sweeteners? In this article, I’ll review the three major “natural” sweeteners typically used by Paleo dieters, and determine whether or not these foods belong in a healthy eating plan. Find out if “natural” sweeteners like honey, stevia, and maple syrup belong in a #Paleo diet. As I mentioned in the first article of this series, honey has long been an important food in the human diet. Its fructose to glucose ratio is similar to that of high fructose corn syrup, with about 38% fructose and 31% glucose (the rest being primarily water). Honey also contains enzymes and other proteins, trace minerals, flavonoids and other polyphenols. Honey also has antibacterial activity, and can shorten the duration of acute bacterial diarrhea in children. Honey might even be an effective treatment in some cases of h. pylori infection. Other potential benefits of honey include antiviral, antitumor, and antimutagenic effects, and reduction of IBD-associated inflammation, but these have yet to be tested on humans. So it would appear that honey has many benefits that outweigh the potential downsides of consuming a concentrated sweetener. I recommend using raw honey, which will have the most enzymes and nutrients when destructive heat has not been used. Stevia continues to be a contentious topic in the ancestral health world, with some respected bloggers endorsing it heartily and others cautioning against it. Although I’ve seen good points raised by both sides, the majority of the evidence indicates that stevia, used in reasonable quantities, is a harmless (and possibly beneficial) natural sweetener. In one study, participants were given a dose of either sucrose or stevia before lunch. Compared with the sucrose preload, the stevia preload resulted in lower blood sugar after the meal and a lower insulin load, even compared with aspartame. Also, even though the stevia provided fewer calories than the sucrose, participants didn’t compensate by consuming more calories at lunch. Another small study with 16 volunteers found that 5-gram doses of stevia extract every 6 hours for three days improved glucose tolerance. In insulin-resistant and diabetic rats, stevia improved insulin sensitivity, glucose tolerance, and liver and kidney function. Stevia has also been called into question due to its potential negative impact on fertility. Stevia was used traditionally in South America as a contraceptive, although we don’t know how effective it was, and results from animal studies have been mixed. One study found that doses of stevioside up to 2.5g/kg bodyweight per day didn’t affect the fertility of hamsters, even after three generations. For a human, this would translate to about 0.34g/kg, so a person weighing 70 kg (about 150 lbs) would need to consume almost 24 stevia packets every single day to reach that dose. That’s far more than anyone would reasonably consume, even if they were consciously trying to maximize their stevia intake. Although two other studies did find that stevia reduced fertility in male and female rats, those conclusions have since been refuted by studies using more reliable methods. Overall, the risk of negatively impacting fertility by consuming moderate amounts of stevia is very slim, but I would still advise people to be wary of stevia if they’re struggling with infertility. As for other potential benefits of stevia, a 2-year RCT in Chinese adults with mild hypertension found that taking 500mg of stevioside powder 3 times per day significantly reduced blood pressure compared with baseline and placebo, from an average of 150/95 to 140/89. However, smaller doses didn’t provide the same benefit, and there isn’t enough evidence to recommend large doses of stevia as a supplement to lower blood pressure. Finally, stevia appears to have anti-cancer, anti-inflammatory, antioxidant, and antibacterial properties, but thus far we don’t know whether these properties have practical significance in humans. Ultimately, I think stevia is a good sweetener to use for those who have blood sugar control issues and would prefer to use a non-caloric sweetener. Maple syrup, coconut sugar, and molasses are other popular natural sweeteners, but they don’t have the modern research or the traditional background that honey and stevia do. Composition-wise, they’re all relatively similar: they’re mostly sucrose, with some free glucose and fructose. They all contain some minerals such as calcium, zinc, and iron, but they’re not going to contribute all that much to your daily mineral needs. (The exception to this might be molasses, which contains 20% of the daily value for potassium, 10% DV for calcium and vitamin B6, 15% DV for iron, and 8% DV for magnesium in just a tablespoon. All three are lower on the glycemic index than white sugar, which falls at around 65, with the award-winner being coconut sugar at 35. Maple syrup has gotten a little research attention, and preliminary analytical and in vitro studies show that it has antioxidant and anticancer properties, as well as potential for the management of type 2 diabetes. However, this isn’t anywhere near being of clinical significance for humans. But if you’re looking for health benefits beyond simply replacing refined sugar with something a little healthier, current research (and tradition) sides with honey and stevia. Look in the mirror and you won't see your microbiome. But it's there with you from the day you are born. Over time, those bacteria, viruses and fungi multiply until they outnumber your own cells 10 to 1. As babies, the microbes may teach our immune systems how to fight off bad bugs that make us sick and ignore things that aren't a threat. We get our first dose of microbes from our mothers, both in the birth canal and in breast milk. Family members tend to have similar microbiomes. "The mother's microbiome has actually poised itself over nine months to basically become the prime source of microbes to the infant," says , director of the at the National Institutes of Health. But ultimately each person's microbiome seems to be unique, perhaps as personal as a fingerprint. As the microbes colonize our bodies, they pick specialized real estate. The mouth, with all those moist nooks and crannies, is home to one of the most diverse habitats, like the Amazon jungle. Wet places like our armpits are lush, too. But they have different microbes than those in the mouth. The armpit microbes feast on nutrients in sweat, Proctor says, and produce antimicrobial compounds to protect the skin against harmful microbes. Other body parts are like the Sahara Desert to your microbes. That forearm skin, for example, is dry — very dry. But even that driest habitat is brimming with microbes. Feet have oily parts and dry parts, and it's those wet parts that the foot fungus just loves. But the biggest habitat is the gut. It hosts the most complex and diverse group of microbes. Everything that microbes are doing elsewhere in the body, they're doing in the gut, in spades. Diverse as these habitats are, the microbes on the various body parts communicate with each other and with our cells. Scientists have started eavesdropping on those conversations, and have started testing them as possible treatments for diseases like Crohn's, multiple sclerosis and asthma. This research is all really new. No one knows for sure what most of our microbes are doing. But many scientists now think that if we're going to remain healthy, we have to maintain the health and well-being of the ecosystems for our microbes. The evidence just keeps mounting that the microbes in our digestive systems are a factor in the obesity epidemic. A team of European researchers recently they'd found that obese people appeared to have less diverse microbes in their guts than did lean people. The research also showed that people with less diverse communities of gut microbes were more likely to be at risk for health problems associated with being overweight, including diabetes, heart disease and cancer. Biologist , of Washington University School of Medicine in St. Louis, and his colleagues removed bacteria from the guts of four pairs of human twins in which one was obese and the other was lean. The researchers then transplanted those microbes into the guts of lab mice who didn't have any of their own microbes. The mice that got microbes from the obese twins gained more weight and accumulated more fat than those who got microbes from the lean twin, even when the mice ate identical diets, the researchers report in a in the journal Science. Next, the scientists let the animals live together. And since eating each other's feces is a common habit among mice, they were soon exposed to each other's gut microbes. After 10 days, the researchers found that the mice with the obese microbes adopted the lean microbes and started to look healthier. And, finally, the researchers showed that the animals were unable to be colonized by the lean microbes when they were fed diets aimed at simulating a typical unhealthful Western diet high in saturated fats and low in fiber. "We now have a way of ... thinking about what features of our unhealthy diets we could transform in ways that would encourage bacteria to establish themselves in our guts and do the jobs needed to improve our well-being," Gordon said in a statement. In an accompanying the report, and of the in Britain called the findings an "intriguing" step toward finding ways to fight obesity, including developing "relatively simple mixtures of bacteria for testing as anti-obesity therapeutics." "The vast majority of them are beneficial and actually essential to health," says , program director for the at the National Institutes of Health. The project is identifying microbes on key body parts, including the nose, gut, mouth and skin, in order to get a better sense of the microbes' role in human health. This week, scientists from NIH and research institutions are gathering in Bethesda, Md., to debate the in disease and human health, including obesity, behavior, heart disease and cancer. "It learns early on which microorganisms are friendly and how to recognize microorganisms that are not so friendly," says , an assistant professor of medicine at Stanford University School of Medicine who studies the relationships between microbes and humans. "As organisms are being lost, a lot of diseases have just skyrocketed," says , who directs the human microbiome program at the NYU Langone Medical Center. He lists diabetes, celiac disease, asthma, food allergies, obesity and developmental disorders like autism as health problems that have become more common. "Yes, the microbiome is important," says , a professor who studies genes, microbes and evolution at the University of California, Davis. "Yes, the microbiome differs between all sorts of health and disease states. But no, we don't know that the microbiome causes these health or disease states." Still, some doctors have already started performing microbe transplants. have been used to cure people with life-threatening infections with the bacterium Clostridium difficile. The patient's ailing gut bacteria is replaced with new colonies donated by a healthy person. Getting good bacteria to drive out bad is also the idea behind probiotics, which are widely marketed as health supplements. But it's which of those microbes are helpful, and for whom. The same goes for , which serve as food for microbes. This expanding view of the microbiome is changing how some people think about humans — not as individual entities but as what philosopher calls a "supraorganism." What if it's not just our genes or our lifestyle, exactly, that makes us skinny or fat, healthy or sick? What if it's also the makeup of the bacterial ecosystem that inhabits our gut? A growing pile of is pointing us in that direction. Researchers in this hot new field describe the microbes in our gut as a vital organ that's as essential as our liver or kidneys. They're finding that this organ, which they call the "microbiome," varies greatly from person to person. Some microbial communities are better than others at important nutrients, for instance. Also, this internal ecology is altered by the food that we eat, causing in the diet world. But what constitutes a microbiome that's good for us, and how might you get one? So far, the researchers can't say. The of these studies was published this week by the journal Nature. It compares the gut microbes of people who live in three very different parts of the world: The United States, the small African country of Malawi, and a remote Amazonian part of Venezuela. The researchers, led by at the Washington University School of Medicine in St. Louis, found some across cultures and lifestyles. For instance, in each population, the makeup of the gut microbes changes dramatically as children grow older, whether they live in Amazonia or Philadelphia. In all three places, adults possess a more diverse collection of microbes than children. But Gordon and his colleagues also found some intriguing differences, especially between people in the United States and those of the two other research sites. He found adults in the U.S. have a rather uniform collection of microbes living in them, compared to people in rural Malawi or the Amazon forests of Venezuela. Gordon can only speculate about the reasons why — it could be because the U.S. uses more antibiotics, or perhaps because people in Malawi and Amazonia are exposed to more microbe-rich environments. Gordon found some evidence that the microbiome of the gut may help a body out when there's a shortage of particular nutrients. Babies growing up in Malawi and in Venezuelan Amazonia both tended to have more microbes that can help to synthesize vitamin B2. As Gordon puts it, "it is tempting to speculate" that these microbes may be helping to compensate for a lack of this vitamin in the babies' diets. These babies also had higher levels of microbes that are able to break down urea and use it to make essential amino acids. "This could be beneficial when protein isn't available in the diet," Gordon tellsThe Salt. Find out how healthy your microbiome is! If that’s not enough, to see just how infiltrated the organic industry actually is, check out this chart, updated in May of this year, created byHoward. You may find that your very favorite organic cereal is owned by Kraft, General Mills, or even Miller-Coors! So, while the bad news is that the organic industry may not be owned by the people you thought, the goodnews is that there are plenty of companies that still maintain independence from the massive conglomerate companies – and perhaps remains just a bitmore wholesome in their values and business as it translates to your plate. If you or a loved one suffers from any of the above symptoms, it is crucial to visit a health practitioner. Some medical doctors prescribe pharmaceutical hormones for issues related to adrenal malfunction. Due to the pharmaceutical hormones' side effects many medical practitioners, such as those at Digestive Health Ann Arbor, are now instead turning to changes in lifestyle and diet, as well as bio-identical hormones. It is crucial that you find a health practitioner who understands how to incorporate a variety of treatments that work for your needs.